We are one of the prime names engaged providing healthy, Pure Butter including Yellow Butter and White Butter. Filled with the goodness of quality milk and other ingredients, Pure Butter is healthy and tasty too. Pure Butter is free from coloring agents and contaminants. We have made Pure Butter in available in different quantity packaging to cater diverse demands of the clients. Yellow Butter makes a dish healthy, rich, and tasty. 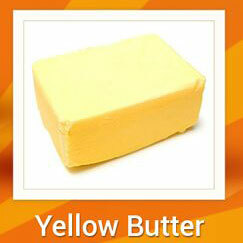 Be it a vegetarian dish or a non-vegetarian delicacy, Yellow Butter just make it impossible to resist. Made from quality ingredients, Yellow Butter is safe to use. Yellow Butter is supplied in quality packaging so as to retain its quality for a longer time. 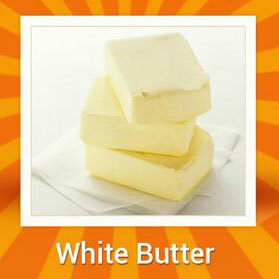 White Butter is known for the rich and distinctive taste, which it imparts to a delicacy. White Butter is made using quality ingredients that make it healthy to have with paranthas, milk and others. White Butter is free from contaminants and adulterants that just testify its purity.